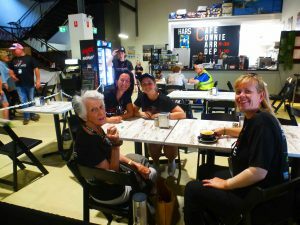 Each year the Tynan Motor Group sponsors and organises both a charity walk and drive from Wollongong to Sydney to help raise funds for the St George and Sutherland Medical Research Foundation, as part of the Michael Tynan Memorial Challenge, an event that raised over half a million dollars for medical research in 2016. As part of the Driving Challenge, participants stopped at various destinations around both the Illawarra and Southern Sydney region on Saturday 11 November. Participants of the Driving Challenge are required to correctly answer various questions about the features of each stopping point, in order to obtain challenge points. 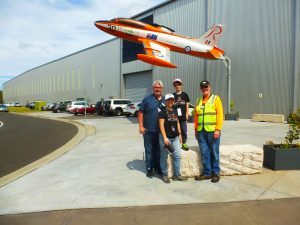 This Year HARS was approached to participate and host a stopping point, and to provide suitable questions for the challenge, to which HARS agreed. HARS was the afternoon stopping point on the way back to Sydney, and it was a pleasure to meet and greet those participating. Many rally members took advantage of our new Café Connie and it was both a very pleasant experience and it also provided great exposure of our ever growing HARS attractions to a wider and different audience. We look forward to hearing the results of this year’s challenge.